A few days ago, I had to convert a large set of Revit files to NWC in order to create a general Navisworks File Set. You first have to select files to be included in your Navisworks File Set. To quickly retrieve the list of Revit files to be converted, I’m using the Windows Command Prompt. I was quite afraid of this tool not so long ago, but it is actually pretty simple. >ListRevitFiles.txt : the ‘>’ character allows us to output the result of our research to a text file (here ListRevitFiles.txt) instead of displaying it. 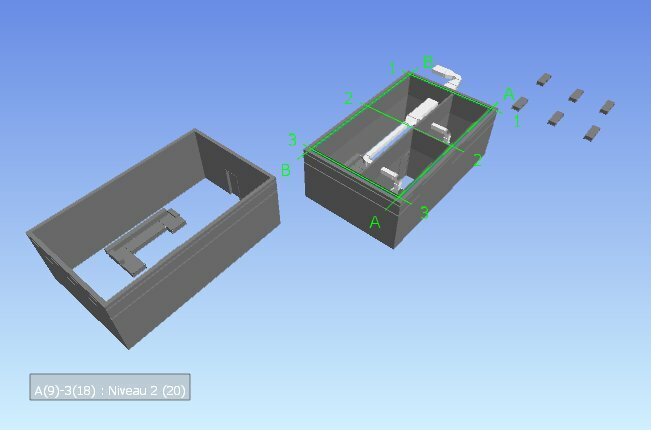 As we want to create a single Navisworks File Set (.nwf), we select the “As Single File” Tab, and set the path to our future Navisworks File. I also select “View file on output” to automatically start Navisworks when conversions are done. We add a path to a log file in order to know what may happen, and hit “Run Command”. Here, I was confused by the fact that nothing seems to happen, but after checking my computer processes, I was able to see that the Navisworks Scene Convert Server was up and running. After a while, Navisworks starts automatically and appends every previously created .nwc file to a new Navisworks File Set. I am also using this feature to create a NWD file for a set of Revit file. To do so, you just have to select the “Multiple file” tab and define a target folder for the export. 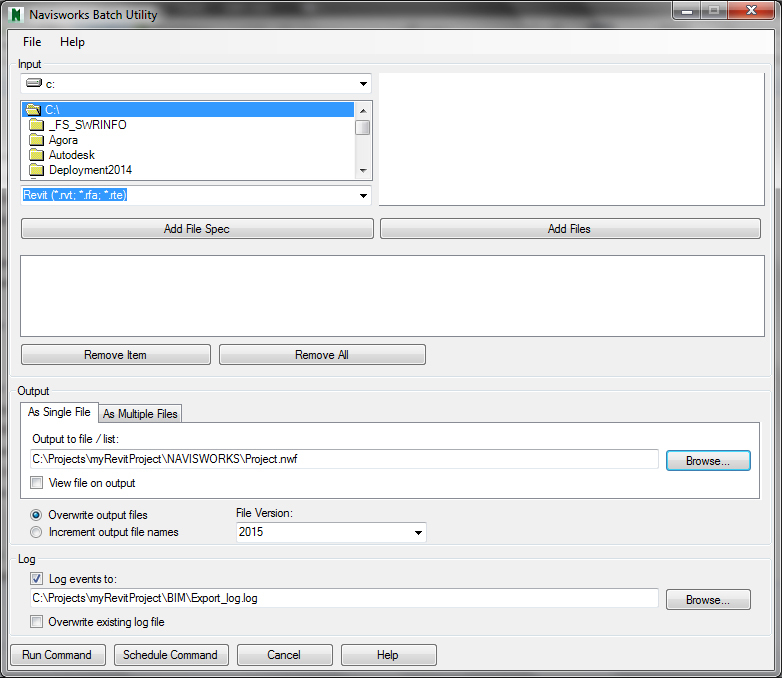 The Navisworks Batch Utility will convert every Revit file to a NWC cache file, and made it a NWD on the run.